The season of brilliant Christmas illuminations decorating the city has come, here in NSTC also had many delegates who had bright passion for the training as brilliant as the gorgeous illuminations. The photo above is a scene from HUET訓練（Helicopter Underwater Escape Training）. The delegates were supposed to get on board the blue helicopter similator, and then the helicopter capsized in water, following by the delegate’s escape from it. Men wearing red hardhat were waiting for the boarding for the next training. They were seriously watching the simulator so that they could gain a hint of evacuation procedures. The next photo is one of the scenes from Sea Survival of BOSIET訓練（Basic Offshore Safety Induction and Emergency Training）. The photo was takenunderwater. 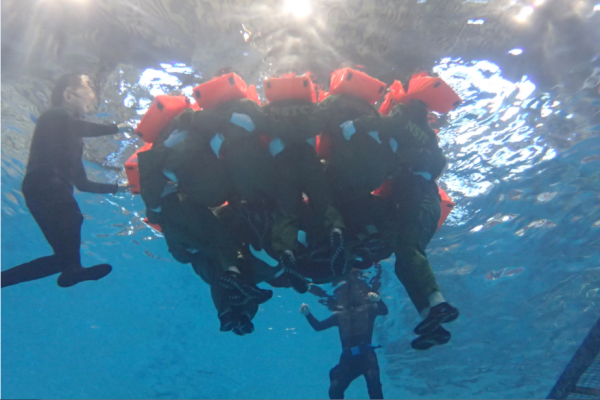 It’s a scene of Group Huddle where the delegates learn the survival techniques in water in order to improve the survival rate. The last photo is a scene from ADC/ADE (Aircrew Ditching Course, Aircrew Ditching Course including EBS). 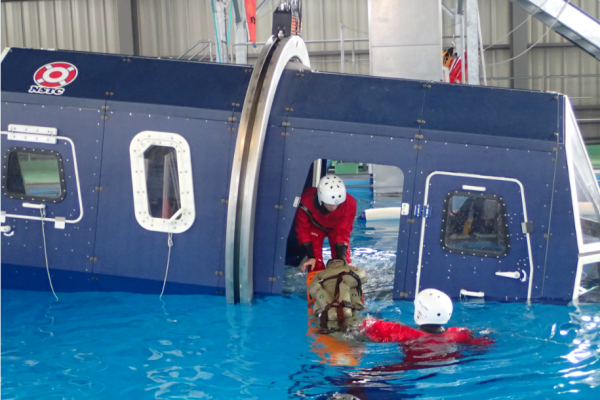 ADC/ADE is a course that professional rescue team participates so the atmosphere is a bit different from that of BOSIET’s HUET. 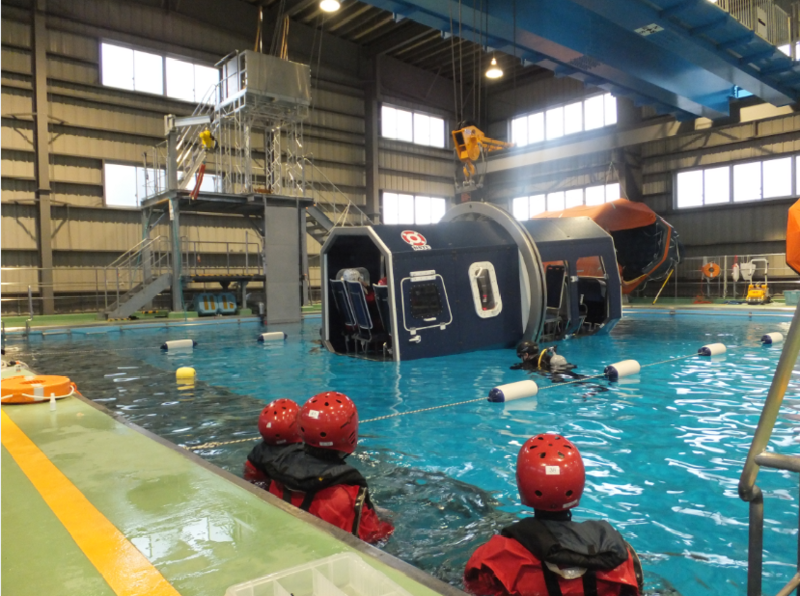 The blue object in the phot is a helicopter simulator supposed ditching on watersurface. Rescue team were in red outfit, and the object in between them is a dummy as victim who had been on the way of transportation toward hospital from the site. There was a strong will “nobody can be victim”. Thank you very much for wonderful comments. I wish all of you take good care of yourself and greet the new year in good health. All the training scheduled for 2016 have been completed. Rest of the days of this. month, we are going to prepare and continue the maintenance of the equipment for the training for 2017 and make strenuous effort for your satisfaction.